Candles, diffusers, room sprays, soy melts, electric wax warmers, pillow mist … your home will smell like a botanical garden with these luxurious, fragrant, artisanal diffusers and home fragrances. Our quality range can soothe your soul, awaken your senses and transport you to another time or place. They also do away with any unwanted odours, leaving your home smelling fresh and welcoming. If you like your scents sweet, don’t look past the Glasshouse Diffuser Vanilla Caramel option. It’s complemented with fresh coconut and frankincense for a magical Polynesian Island experience. Or consider Aesop’s Anouk Oil Burner Blend, a specially formulated scent with a tranquil blend of citrus aromas, enhanced with bergamot rind. 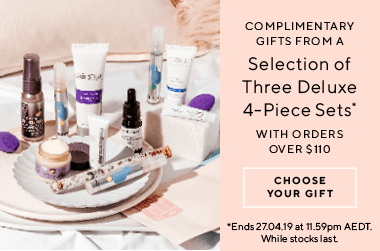 Whether you like your fragrances sweet or citrusy, subtle or bold, familiar or exotic, you’re bound to find what you’re looking for at Adore Beauty, Australia’s longest-running online beauty store. Filter by fragrance note, such as patchouli, rose, herbal or bergamot. These diffusers and home fragrance products from leading brands make great, sophisticated gifts or a treat for yourself; check out other gift ideas like these beauty gift sets or personal fragrances. First time using these melts. Each one was just the right size for my burner and the one cube lasted all weekend (burning both days) lovely sweet mango fruity citrus blend. Very strong. Definitely made for someone who loves sweet smells. I love this oil, it has quite a strong scent when burning but I find it is perfect to use in the evening to wind down.